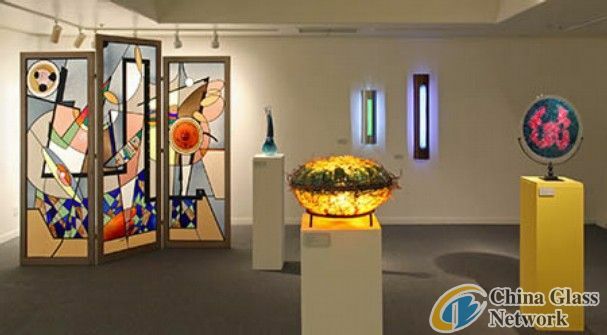 In conjunction with the current exhibition, “American Glass Works,” the Ojai Valley Museum will hold a sale of additional glass pieces produced by the regional, exhibiting artists in the show. The Glass Bazaar will be on Sunday, March 25, between noon and 4 p.m., The museum invites you to come see, shop, and collect glass art and utilitarian objects by Brian Berman, Robert Eyberg, Doug Lochner, Helle Scharling-Todd, Teal Rowe, and Michael Zelcer. This very special sale includes vessels, sculpture, wall reliefs, jewelry, and more. This is a unique opportunity to shop these artist’s works under one roof and all at the same time! The museum is located at 130 W. Ojai Avenue, Ojai, CA. Call Ojai Valley Museum at: (805) 640-1390, ext. 203, for additional information. The Ojai Valley Museum, established in 1967, is generously supported in part by Museum Members, Private Donors, Business Sponsors and Underwriters, the Smith-Hobson Foundation, Wood-Claeyssens Foundation, City of Ojai, and the Rotary Club of Ojai.